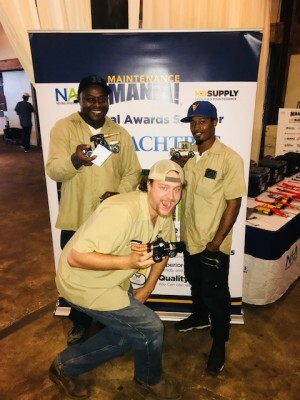 Belhaven Residential | Dominique wins Maintenance Mania! Richard, Al, and Dominique competed in Maintenance Mania hosted by the MS Apartment Association. Our maintenance technician, Dominique Berry, won 3rd place! Congrats, Dominique! !